Get into the groove! An elegant business card case featuring classic fluted decoration with a horizontal flat engraving bar along the length of the hinged lid. 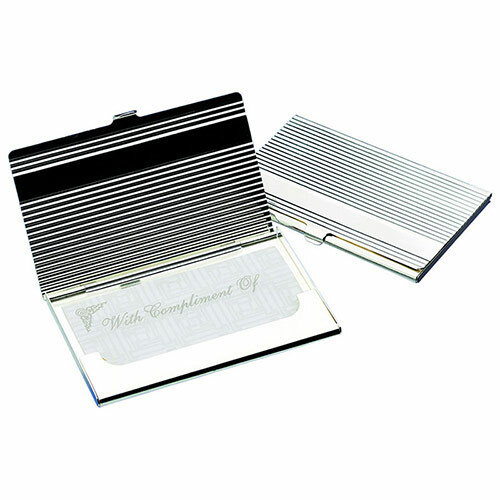 These silverplated business card holders present a stylish and professional image to clients, customers and suppliers. They hold approximately 10-12 standard business cards, and ensure that your cards are always in pristine condition when you present them. These card cases are offered with free engraving, allowing you to customise your card holders with a company or brand logo at no extra cost.